Through lectures and lab work, this course gives students a thorough knowledge of the human body and the functions associated with the structures and systems. AP I introduces and studies cytology, histology, integumentary, skeletal system, and physiological aspects of each. Basic system specific pathologies are also addressed. This course follows AP I with continued studies of the body systems. Areas covered include a detailed study of the muscular system, integration and co-ordination of the nervous system, cardiovascular and lymphatic systems. As a continuation of AP II, this course addresses the processes of elimination of materials through the digestive and urinary systems. Sensory perception will be explored involving the somatic and special sensors as well as respiration, endocrine, and reproductive systems. Basic growth and development will also be addressed. This course is designed to provide students with a solid foundation for the practice of Massage Therapy. 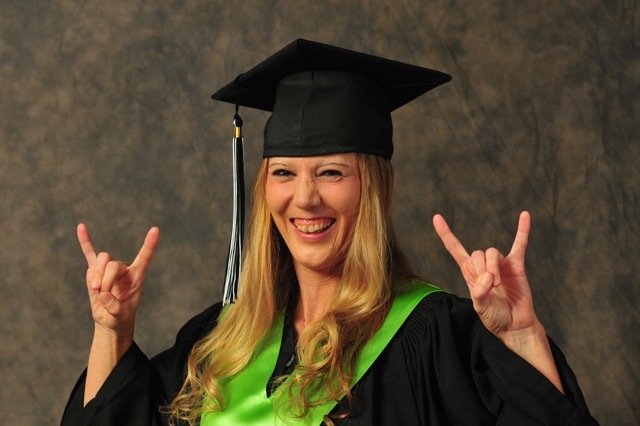 Students will gain an understanding of medical terminology and expectations of their field. Professional ethics for Massage Therapy will be explored as well as requirements for their practice. Students will also study the history of massage and how it relates to today’s practices. This course provides an overview of client/therapist communication in a clinical setting. Techniques of obtaining information and completing patient files will be addressed as well as the needs and expectations of the client. Class will also focus on proper collection, recording and storing gathered information as well as legal implications for health care professionals. This course provides the foundation for correct application of manual massage movements. Students will learn and practice all basic techniques related to full body massage. Conservation of physical energies and reducing chance of injury to the therapist, while performing multiple treatments, will be explored with a focus on stance, timing, and ergonomically correct functional biomechanics. 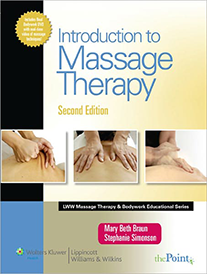 In this course, students will be introduced to basic full body massage techniques through theory and hands-on practical application. Proper procedures for collecting and recording client information will be addressed and the various E & P that are available will be discussed and evaluated as to their effectiveness in practical application. Common trigger points and soft tissue referral areas will be explored theoretically and practically. This course of study is designed specifically to explore the physiological and psychological effects and benefits of massage pertaining to all aspects of the human body. Students will learn the contraindications of massage through a system by system physiological analysis while simultaneously exploring endangerment sites and physiological effects on the body. Students will learn why and how to modify treatments to specific situations and conditions as well as when certain massage techniques are appropriate. This course introduces students to the mechanics of movement involved with human locomotion. Theory and practical application, biomechanical principles and structural advantages and disadvantages involving joints, tissue and musculoskeletal structures will be assessed. Common structural deviations of the human body will also be studied. This course begins the solid foundation of Therapeutic Massage using a variety of techniques available to the therapist. Proprioceptive neuromuscular facilitation, trigger point therapy, and hydrotherapy will be explored through theory and practical assessments. Primary/secondary injuries and conditions will be analyzed and techniques developed to address specific cases. This course will focus on Massage Therapy concepts and techniques directly related to systemic applications to the body. Techniques specific to each of the human body’s systems will be addressed theoretically and practically. Through hands on applications, students will gain an understanding of specific knowledge to address each system. This course allows students to perform and refine their techniques in a supervised, clinical setting. This course is specifically designed to give students an understanding of the acquisition and progression of physical alterations of the human body. General and specific pathologies related to the Massage Therapy field will be addressed. Students will also gain knowledge of tissue response to injury, contagious pathologies, and when to refer and communicate with other health professionals. Information regarding contagious skin disorders, skin pathologies, skeletal and muscle conditions will be explored. This course is a continuation of Pathology I and will address common pathologies Massage Therapists may encounter in their practice. Emphasis will be placed on neuropathology and renal pathologies. Students will also be introduced to disorders of the gastrointestinal system and gain an understanding of when to refer and communicate with other health professionals. This course is the summation of Pathology I and II. Emphasis will be place on endocrine, respiratory, and reproductive pathologies. Students will learn when to refer to and communicate with other health professionals. In this course, students learn techniques and applications of common orthopaedic tests related to their field of practice. Through theory and lab exercises, students will explore specialized assessments for mandibular, cervical, thoracic, and lumbar areas of the body. Body posture will be evaluated to determine pathologies and structural deviations. This course will address the theory, techniques, and applications of common orthopaedic testing. Students will focus on shoulder, elbow, wrist, and hip joints as well as knee and ankle manipulation and evaluation. Students will assess structural integrity and pathologies and formulate opinions regarding deviations. The focus of this course is to provide students with principles on health and wellness, nutrition, and weight control for their own personal wellness and as a base of knowledge for clients. Students will gain knowledge to develop basic wellness plans for both their clients and themselves. This course provides Massage Therapy students with the basic information on Pharmacology to better assess and treat their clients. Students will gain knowledge of basic side effects and interactions of common medications. This course is designed to introduce students to the various complimentary modalities available to Massage Therapy. Specific spa treatments will be explored through theory and practical applications. Students will also be introduced to a wide range of functional modalities that will enhance their practices. This course will focus on specific conditions of the musculoskeletal, lymphatic, respiratory, and gastrointestinal systems. Theory and manual techniques will be explored. This course is a continuation of Advanced MT I. Students will focus on the cervical, thoracic, and lumbar spine as well as specific conditions of the entire musculoskeletal system. 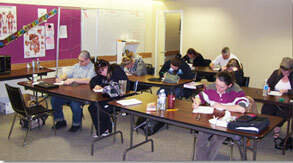 Theory, practical application, and evaluations will be used to gain an understanding of each condition. This course will involve students in a comprehensive view of Massage Therapy treatments. Using past knowledge and experience combined with resources, students will formulate specific treatments and implement them effectively. Clients with predetermined conditions will be brought into the classroom setting for the students to assess, develop a treatment plan, and explore techniques to address each situation. Therapist/client communication will be explored with topics and situations related directly to the Massage Therapy field of practice. This course provides a supervised clinical setting for students to apply their knowledge. 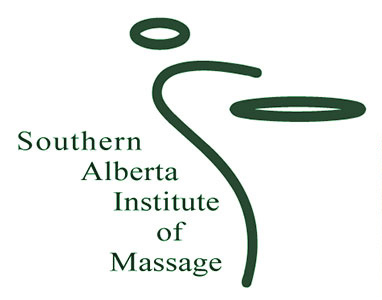 Under supervision, students will practice in a clinical setting at Southern Alberta Institute of Massage (SAIM) Student Clinic, a Physical Therapy Clinic, and various field placements.